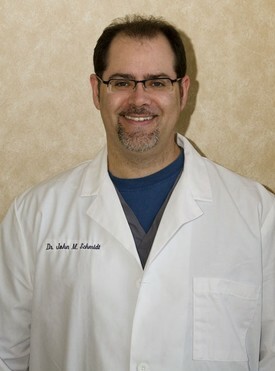 Dr. Schmidt is originally from Oakmont, PA, near Pittsburgh. He graduated from the University of Mississippi in 1990 and the University of Pittsburgh School of Dental Medicine in 1995. He began his dental career in Michigan and moved to Lancaster County, PA, in 1998 where he practiced in Elizabethtown and then Ephrata for many years. Dr. Schmidt is skilled in all aspects of general and cosmetic dentistry, and offers restorative procedures, crown and bridge work, root canal, dental implants, full and partial dentures, as well as hygiene and periodontal maintenance. He believes it is of the utmost importance to build a personal relationship with each of his patients. His goal is to provide the highest level of dental care possible on a person to person basis.